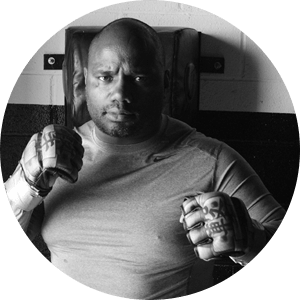 A few years later Donavin began the transition from student to instructor by attending and passing the Instructor certification course taught by Krav Maga Worldwide which was headed by John Whitman at the time. In addition to completing the certification course with Krav Maga Worldwide, Donavin was one of the first instructors in the United States to complete the transitional instructors course taught by Grandmaster Eyal Yanilov who was then the Chief Instructor of the International Krav Maga Federation (IKMF). Donavin has been awarded the rank of 3rd Degree Black Belt by John Whitman President and Chief Instructor of Krav Maga Alliance. Donavin continues to train under John Whitman’s tutelage. Donavin continues to train with and learn from some of the top Krav Maga and self-defense practitioners in the world. Sgt. Major Nir Maman, Amir Perets, Darren Levine, Jarred Waldman, Kelly Campbell are just a few of the instructors and trainers that Donavin has trained with and learned from over the years! While many instructors are blindly following one train of thought. Donavin continues to seek out the great instructors from systems such as JKD and Escrima! It is his belief that in order for him to give truth, he must always remain a student!